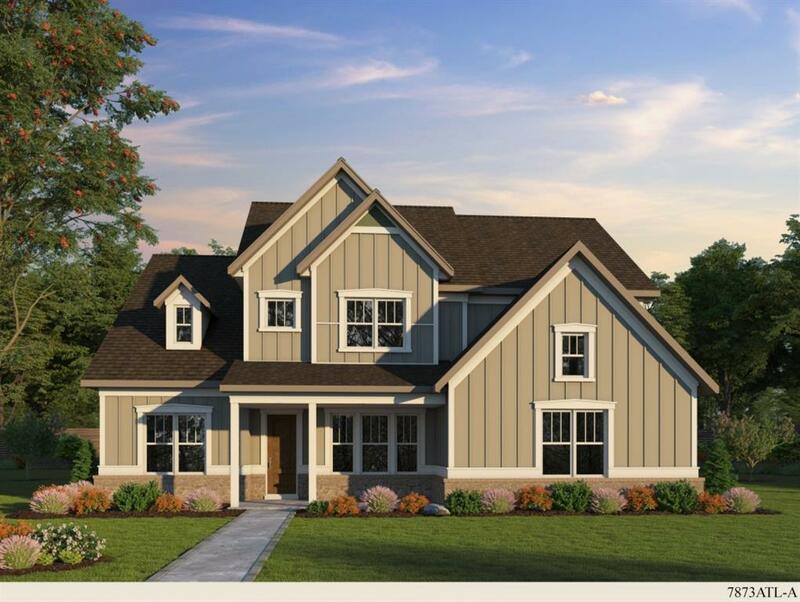 The Barnsley A Plan features 5 bedrooms & 4 full baths and an open floorplan with large eat-in kitchen, guest suite on 1st floor, owner's retreat on 2nd floor with generous walk-in closet & luxury bath. 2-car garage + 1 car detached garage w/ unfunished storage above. Private homesite in a beautiful setting, top rated schools and convenient to shopping, dining, entertainment and major highways. Home is currently under construction. Estimated completion June 2019.